Silicon Valley has long been known for its blindspots, where startups that cater to women and minorities find it difficult to get funded in an ecosystem where many investors, frankly, have a similar background. The negative impact that this has on tech has not gone unnoticed and the ecosyste has been slow to respond. Interestingly, though, there is one sector where this seems to be less of an issue: women's health startups. The healthtech space in general is getting an increased amount of attention, and investors have begun pouring a lot of money into companies that specifically target women's healthcare needs. That includes companies like The Pill Club ($61.7 million), Extend Fertility ($15 million), Ritual ($40.5 million), Ava ($42.4 million), Celmatix ($63.8 million), Glow ($23 million), Progyny ($99.5 million) and ObsEva ($153.4 million). One of the most recent companies to attract interest from investors is smart tampon platform NextGen Jane, which announced earlier this week that it raised $9 million in a Series A funding round. The round was led by Material Impact, with participation from Access Industries, Viking Global Investors, Liminal Ventures, and "several notable Angels." This round brings the company's total funding raised to $11 million. Founded in 2014, the company allows its users to mail in smart tampons that contain cells from their reproductive tract in order to diagnose reproductive disorders such as endometriosis. The company is currently in beta and is planning to be commercialized by sometime next year. 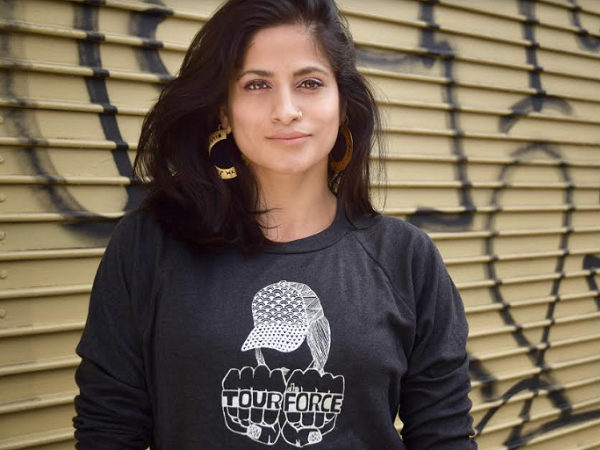 Ridhi Tariyal, co-founder and CEO of NextGen Jane, spoke to VatorNews about the women's healthtech space, the problems that make this solution necessary and how she hopes to impact the lives of women, especially in underserved communities. VatorNews: What is the problem that you are trying to solve with NextGen Jane? What is your solution? Ridhi Tariyal: Problems include that there are OB-GYN shortages in many parts of America that make accessing basic care very difficult. Also, conventional methods of diagnosing reproductive disorders are in-clinic, invasive and expensive. Many female reproductive disorders present with generic symptoms which are difficult to differentiate. Also, women’s pain is sometimes dismissed or normalized making getting to a diagnosis more difficult. Our solution is a patented tampon collection technology that allows users to collect menstrual and cervicovaginal samples with an everyday household product, preserve nucleic acids and other analytes important for disease detection and ship them off to a lab for in-depth sequencing analysis and disease detection. The NextGen Jane system allows for superior preservation of DNA and RNA of cells from the endometrium, cervix, fallopian tubes and ovaries. NextGen Jane then builds proprietary algorithms to correlate specific genomic signals found in cells shed from your body to specific disease states. VN: Who is the typical customer for Jane? Walk me through some typical use cases. RT: We want to expand access to care for underserved populations. Access to care in the US and globally is increasingly influenced by geography (urban-rural divide) and wealth. In addition, women's healthcare issues are often taboo subjects that make it difficult for women to seek out medical advice, especially as it relates to infertility. For our part, Jane is addressing the looming resource crisis in medicine by creating affordable solutions that separate care from brick and mortar settings and truly enable individualized, preventative care. Women’s pain is often normalized, especially when it surrounds their period. So many women come into the doctor’s office with severe pelvic pain, heavy menstrual bleeding, or other painful pathologies, and are often dismissed because period pain is “normal” and women have to learn to cope with that pain. However, all too often, there is an underlying etiology that is causing the pain. These chronic pain symptoms often lead to depression and other mental illness that compounds the pain, leaving women feeling helpless, misunderstood, and often disbelieved by the medical system and by their communities. By providing answers to these underlying health conditions, we are empowering women with data, so they have the tools needed to push back against the health system, and demand the care they know they need. A woman with endometriosis may see 7 specialists before she is diagnosed with the disease. This journey can take up to 10 years, seeing specialist after specialist, trying hormones and other endocrine modulating drugs that often don’t work and have severe side effects. During this time she endures debilitating pain that affects both her personal and professional life. 86 percent of women with endometriosis experience some level of depression and anxiety due to chronic pain. During these 10 years, the disease progresses and can lead to infertility. In fact a large portion of women with endometriosis don’t realize they have it until they try to have a child. This is the extent to which pain is normalized among the female population. Given the technological advances of today, it should not take 10 years to find out you have a disease, and it shouldn’t require a surgery to diagnose that condition (currently the only diagnostic for endometriosis is laparoscopic surgery). VN: How many beta users do you currently have? What kind of ROI have you seen so far from your tests? RT: We currently have about 900 beta-testers signed up to participate in our beta program once it launches sometime this summer. The point of the beta testing is to get real-world feedback on our product, to learn how women and people who menstruate interact with the device, as well as to better understand the breadth of variability in menstrual fluid that exists among different ethnicities and age groups. VN: What will you be doing with this new funding? Will it be going toward hiring, expansion, product development? Please give me as much detail as you can. RT: We have successfully translated our technology from prototype to beta product, and now plan to use the financing to further advance our scientific data set in select reproductive health areas, positioning the NextGen Jane technology platform for commercialization sometime in 2020. Our main objective with this funding is to build out our scientific and computational groups within the company, finalize product development and manufacturing, as well as execute several validation studies for future product launches. VN: Who are your competitors? What makes Jane different? RT: Qurasense, LifeStory Health, and Droplet are all utilizing menstrual fluid for diagnostic purposes. All these companies, to date, have focused on the “blood” component of menstrual fluid. NextGen Jane’s approach interrogates the reproductive cells contained in menstrual fluid to look at diseases that affect the reproductive tract, like endometriosis, polycystic ovarian syndrome and fibroids. The most natural biopsy of the reproductive system is tissue shed during menstruation – and that data-rich sample has until now, been thrown in the trash/disregarded. 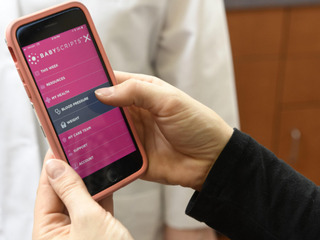 We are replacing the present day standard of care with a consumer-facing, easy to use technology that allows women everywhere to gather the data they need to proactively manage their reproductive health. VN: How has the healthtech space evolved in recent years, specifically in the area of women’s health? How have those changes allowed a company like Jane to thrive? RT: Healthcare is increasingly becoming personalized and patient-centric and "Femtech" has seen $1 billion in funding between 2015 and 2018. Women today make up 49.6 percent of the total population and the economic burden for women’s diseases is currently more than $500 billion. As women delay having children to pursue other rewarding avenues, both professionally and personally, there is no medical establishment that is managing “long-term fertility.” There are apps and doctors and IVF clinics to help women who want to get pregnant now, but if you delay having children, you are dramatically increasing the time for diseases like endometriosis to cause damage to your reproductive tract. One of Jane’s goals is to provide tools and information to women that can help them manage this larger time between menarche and post-menopause. An increase in high deductible health plans with high out of pocket costs disincentivize consumers from going to the doctor. Women will increasingly want to use funds in HSAs / FSAs to seek preventative care that is convenient and clarifying. VN: What is your ultimate goal with Jane? Where do you want to see the company in the next 5 years? RT: Our ultimate goal is to build a pipeline of tests anchored on our tampon based collection system that provides insight on various reproductive conditions. Our hope is that this system will find utility in many different points in a woman’s life from menarche to post-menopause. Questions such as “is my period pain normal”, or “why am I having off cycle bleeding”, or “why I am having trouble getting pregnant” or “why are my periods so heavy?” will be answerable by an elegant tampon based solution rather than surgery, MRI, ultrasound and cervical scraping.